Local Action Groups (LAGs) in Cornwall have successfully secured £7.3 million in funding to support growth at local level. 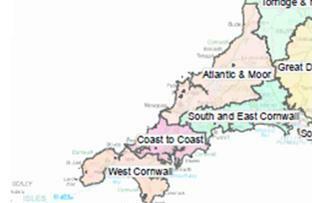 The funding, which comes from the 2014-2020 Rural Development Programme (RDP), will be allocated to four groups – West Cornwall LAG, Coast to Coast LAG, Atlantic and Moor LAG, South and East Cornwall. The strategies that formed the basis of the bids were developed last year following extensive consultation with residents and businesses, to better understand the economic issues they face and the opportunities that investment in local solutions could bring to their area. These could include support for farm and forestry productivity, business competitiveness, farm diversification, rural tourism, rural services and culture and heritage. The newly-formed LAGs will now be working with DEFRA to move through the contracting process, with the intention to go live in the summer of 2015. They are being assisted in this process by the Cornwall Development Company who will act as their accountable body on behalf of Cornwall Council.